Provided photo Edison State Community College is among the many recipients of grants from The Piqua Foundation. Through the organization, equipment was provided to the college’s nursing and med tech programs. Provided photo A grant from The Piqua Foundation enabled the local fire department to purchase these plasma helmets. EDITOR’S NOTE: This is the second of a three-part series on The Piqua Foundation, which celebrates its 25th anniversary this year. Part one, published on Thursday, focused on The Foundation’s history. On Saturday, part three will explore the types of funds the Foundation offers. Today’s installment discusses the group’s grant-making process and organizations it has benefited. PIQUA — Most folks who know about The Piqua Community Foundation know about their grant-making activities. Though The Foundation holds more than 20 separate funds, the unrestricted funds are the ones best-known for their impact on local organizations and individuals. Three funds provide the capital for the grants which are made twice each year: the Donnelly Unrestricted Fund, the Sperry Fund and the Piqua Community Fund. Money for these funds was provided by generous donors who chose to allow The Foundation to oversee the distribution decisions. Some donated larger sums, such as Edwin and Florence Sperry, and Richard Donnelly, whose funds bear their names. Additions to the Community Fund often come from donors making smaller gifts in honor or memory of a special person. The Foundation’s new slogan – “When you share with us, we share with many” – emphasizes the way a donation of any size can be combined with the donations of others to help the entire community. Proceeds from any fundraisers held by The Foundation, including the annual Cakes for a Cause auction and annual giving campaigns, also support the Community Fund of The Foundation. The amount available for grant-making each year is based on a percentage of the values of all three unrestricted funds, combined. The Foundation makes community grants each spring and fall, with submission deadlines in March and September. Both mini-grants and standard grants are available during each cycle. Foundation mini-grants, for amounts of $500 or less, use a short, simple application form; standard grants, for amounts over $500, require a slightly longer form and more documentation. Forms are available to any charitable, non-profit organization or school which serves Piqua residents. Applicants should visit the website piquacommunityfoundation.org for more information. Completed applications are reviewed by the distribution committee, chaired by Steven K. Staley. The committee is composed of three board members and four community members at-large who work diligently to ensure that funds make a difference in the lives of local residents. Many Foundation grants are awarded to local schools and educational facilities. In recent years, iPads and Chromebooks have often been requested by the Piqua City Schools and Piqua Catholic School. The committee receives many applications to purchase technical equipment, which is expensive and often not included in the school budgets. 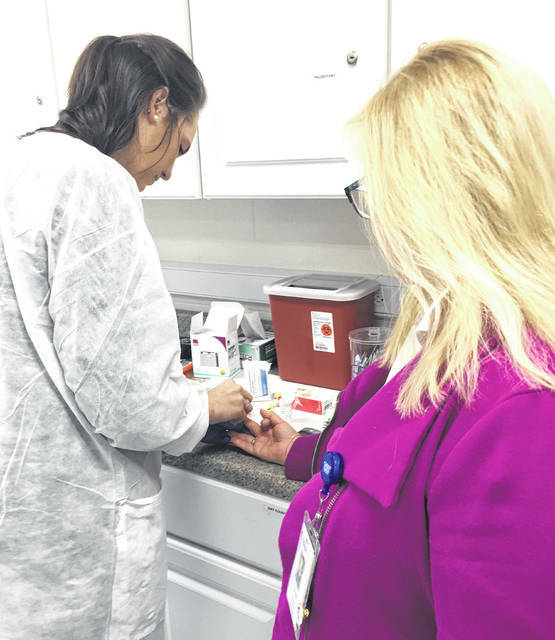 In the past few years, state-of-the-art 3-D printers have been provided to Lehman Catholic High School and the Upper Valley Career Center, and medical equipment was provided to the nursing and med tech programs at Edison State Community College. Local schools at all age levels have received books, art materials, sensory equipment and funding for educational field trips. The city of Piqua and its supporting organizations have requested and been granted funds for a variety of city projects. The fire department has received grants to provide equipment for training firefighters as well as diving equipment for water rescues and new plasma helmets. The parks department and Friends of the Piqua Parks have used Foundation grants to help establish and upgrade the Ann Das and Robert M. Davis parks. The police department has benefited from funding for D.A.R.E. programming, evidence gathering and Crime Stoppers. Many local non-profit organizations have established or grown programs with funding from The Foundation’s grant process. Piqua Compassion Network was able to develop their website and purchase a new server; the YWCA received support for their Social Justice Reading Circle. Funded projects have ranged from a new walk-in cooler for the Bethany Center to entertainment for the Piqua Heritage Festival. The Foundation has also provided assistance to several community projects such as Piqua High School’s Alexander Stadium, the Fort Piqua Plaza restoration and the Johnston Farm and Indian Agency educational addition. Since The Foundation’s beginning in 1993, more than $1 million in grants have supported local organizations. It is likely that grants made by the Foundation over the last 25 years have directly or indirectly touched almost every resident of Piqua. https://www.dailycall.com/wp-content/uploads/sites/30/2018/08/web1_Edison-lab-1.jpgProvided photo Edison State Community College is among the many recipients of grants from The Piqua Foundation. Through the organization, equipment was provided to the college’s nursing and med tech programs. 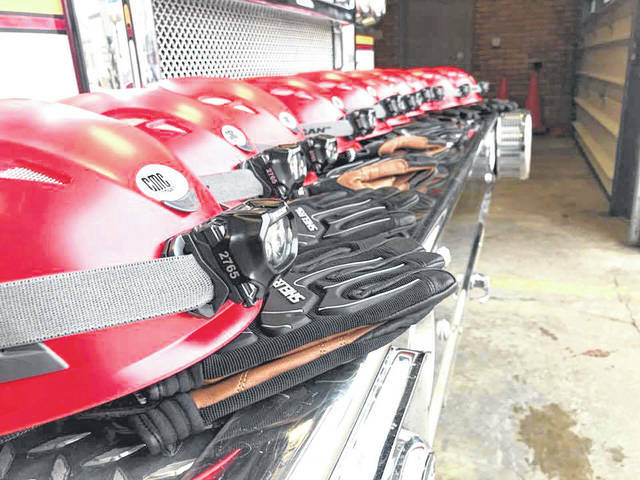 https://www.dailycall.com/wp-content/uploads/sites/30/2018/08/web1_PFD-Picture-2.jpgProvided photo A grant from The Piqua Foundation enabled the local fire department to purchase these plasma helmets.